William M. Reddy is a pioneer historian of the emotions. 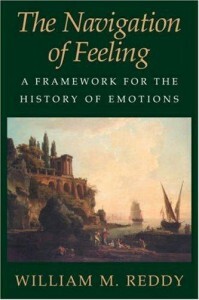 His 2001 book, The Navigation of Feeling: A Framework for the History of Emotions is one of the landmarks in the field. His most recent book, The Making of Romantic Love: Longing and Sexuality in Europe, South Asia, and Japan, 900-1200 CE (Chicago and London: University of Chicago Press, 2012) promises to become another. To mark the publication of this ambitious, stimulating, and surprising new volume, the History of Emotions Blog solicited reviews from three scholars with interests in different aspects of Reddy’s new study, and Professor Reddy kindly agreed to provide a response. Katherine Clark is a medieval historian at the College at Brockport, State University of New York. Her review centres on the question of whether the Gregorian Reform of the church in the eleventh century should be construed as a war on sexual appetite. David Lederer is an historian of medicine, madness, sexuality, and religion, especially in the early modern period, at NUI Maynooth. His review reflects on politics, biology and method in the history of emotions. Hera Cook is an historian of emotions and sexuality at the University of Otago, Wellington, with current interests in emotional management and inequality. Her review wonders about what place might be found for the human body in Reddy’s new history of love. Finally, William Reddy himself reflects on and responds to the issues raised by these three reviews, in some cases reasserting the argument of his book and in others agreeing with criticisms. A final note for those interested in learning more: supplementary images and videos illustrating the themes of the book are available through the dedicated website for The Making of Romantic Love: Longing and Sexuality in Europe, South Asia & Japan, 900-1200 CE. This entry was posted in Book Reviews, Reddy Round-table and tagged navigation of feeling, Reddy, romantic love by Thomas Dixon. Bookmark the permalink.